Heidi McDowell’s painting Orchard 2 was featured in The Examiner’s Top Picks section referencing our Landscape Show . Hadley Northrop’s painting Woman at Cafe Charbon was featured in the San Francisco Chronicle’s DATEBOOK. Dale Erickson’s painting Self Portrait in Studio #2 was featured in the Sunday’s San Francisco Chronicle in the DATEBOOK. Lynette Cook’s painting Shadowdance was featured in The Examiner’s Top Picks section referencing our Introductions 2010 Show . Toru Sugita’s etchings were featured in his solo show Bay Area Shapes at the SF MOMA’s Caffe Museo. Terry Thompson and Ryan M. Reynolds works are on view at the 2012 SF Fine Art Fair at Fort Mason Center. San Francisco’s Mayor Ed Lee visited ArtZone after the Mission Riots to share the city’s position and show support to affected businesses. Eileen Starr Moderbacher’s painting Premature Moon was selected for the yearlong group exhibition at the Berkeley Civic Center. Paul Morin’s painting Hey Kids! was featured in the Bay Area Reporter’s Art isn’t easy section referencing his Solo Show at ArtZone. Heidi McDowell’s painting Orchard 2 was purchased by the San Francisco Art Commission for display at the New Public Utility Commission Headquarters. 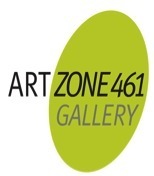 ArtZone 461 are one of the “Bridge Galleries” participating International Orange: The Bridge Reimagined part of the 75th Anniversary of the Golden Gate Bridge celebrations. Nicholas Coley’s painting Coyote Creek Tam Junction was featured in the San Francisco Arts Monthly referencing his Solo show at the Gallery. Adam Cahoon’s paintings are on view at a group show at Blush Wine Bar in the Castro District. Diana Lee’s Leah, the Fire Spinner, was awarded both the Gold Award in the Master Class and Best in Show! at the 2nd Annual Exhibit for the International Society of Scratchboard Artists (ISSA) in Vancouver, Canada. The Gallery hosted Lit Crawl 2013 reading titled The History of the Rest of Us: Community Memoir Project. Writers from the Berkeley Public Library memoir workshop. Terry Thompson’s paintings were exhibited at a solo show Neon Off at the lobby of 50 Beale St. Bldg. Nicholas Coley’s paintings were at an off-site exhibit at the looby of 301 Brannan Street in San Francisco. Eileen Starr Moderbacher recent paintings were featured at an offsite exhibition at 530 Bush Street in San Francisco. Works by Miranda Putnam & Brian Tepper were featured at an off-site exhibit at 275 Battery Street in San Francisco.